How many times have you been going anywhere and all the sudden have to slow down super-fast so that the slowest walker in the world could walk across the street in a cross walk? All the time right? How royally upset do you get at them taking their time, talking on their phone, not even looking around, or not even hurrying across the street? 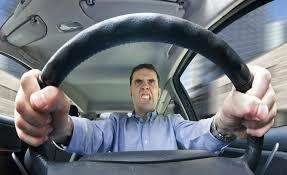 You get to the point that you want to rip off your steering wheel, scream so loud your windows explode, and want to run that person over. If someone is on the phone with you oh boy do they get an ear full. All because that person needs to cross the street. So now think about all this again. Think about how upset, frustrated, and pissed off you get at that person taking their time across the street. So now that you can picture it, what happens when all the sudden that person looks over at you and waves? Boom, all the sudden it is all good. You see inside their soul from that little wave and know they are a good person and really deep down inside appreciate you stopping for them to cross the street. You go from raging lunatic to a peaceful bird out of the Cinderella movie. All the sudden life is good, you wave back, and hope them a nice part of your day. So the whole reasoning with this is that you really don’t understand the impact you have on others in their day when you start walking across a cross walk. Most of the time you know you could just wait until there is a gap in traffic and scurry in an abrupt manner across the street and not impact anyone at all. But we all know this isn’t the case and that you won’t do this so it is important that in your leisure of crossing the road you look at whoever made time in their day not to jeopardize your life and keep driving past you, you should toss off a nice subtle wave. A wave is as simple as taking that sip of water out of that bottle in your hand, but creates a vast more major impact. So this is a very simple topic but is neglected daily. If you are out and about and find you will be crossing the street and doing it the legal way in a cross walk, then make sure you wave to all those around and take some stress out of their life. It will be more impactful then you will ever know. So start utilizing your wave.